Modern football is so often a race to the bottom. The league table is a final, inescapable judgement, what it presents is indisputable: either you succeeded, or you did not. First is great, last is unacceptable and the shades in between the two distinctions mix with financial investment, tradition and expectation to form a conclusive answer. Coaches are spellbound. Packed with ideas formulated over years of match analysis, training sessions, theory and practise, many stumble and fall when faced with the all-conquering result. This in turn leads to an inevitable negativity. If results are imperative, then bad ones must be avoided. And if bad results must be avoided, practicality ensues. And so coaches subordinate themselves to the final score, the league table, with a mindset of prevention. The endgame is that even many of football’s most celebrated idealists are laced with an implicit pragmatism, a willingness to conform to the whims of the result. It is with this attitude that Zeman earned the moniker Il Boemo, or The Bohemian. His belief in something other than the scoreline is fairly counter-cultural today; in early-1990s Italy, it was outrageously radical. During this period he coached Foggia, Lazio and Roma, and instituted his ideas of football, ideas that were completely at odds with convention. Zeman never played professional football. In fact he never came close to doing so. Born and raised in Prague, he gave up the sport at the age of 16 to focus on other pastimes, including volleyball and handball, both of which he reached youth international status in, as well as ice hockey, which would come to influence some of his training methods as a football coach in later years. In the summer of 1968 he moved to Sicily to spend four months living with his uncle, Čestmír Vycpálek, a former footballer who had played for the likes of Juventus, Parma and Palermo before turning his hand to coaching. On 20 August of that year, the Warsaw Pact invaded Czechoslovakia in a bid to prevent the political reforms of Alexander Dubček’s government. Zeman decided not to return to his home country and instead stayed in Sicily. It is perhaps the only pragmatic decision he is known to have made. Vycpálek led Juventus to two consecutive scudetti in the early 1970s and, not long after, his nephew followed him into coaching. Zeman had already acquired some experience, helping out with local amateur sides while completing his degree in sports medicine at the University of Palermo. Then, in 1974, he began working in Palermo’s youth system, initially with the Rosanero’s under-12s. He obtained his coaching license from Coverciano in 1979 alongside one Arrigo Sacchi, who was coming to the end of a modest playing career. At the time, Zeman and Sacchi were relative unknowns within Italian football, but together they would eventually help to redefine calcio as twin idealists. Four more years with Palermo’s academy followed before Zeman landed his first head coaching role with Licata. He immediately showcased two preferences that would come to define his career. One was a steadfast belief in young players, while the other was a proclivity for wild attacking football. He led the club to the Serie C2 title in 1985 with a team filled with academy graduates, scoring 58 goals in 34 games. He left Licata in 1986, taking over at Foggia. It was with this club that Zeman would make his mark, but not first time around. After less than a season with the Satanelli he was hired by Parma to replace Sacchi, who was moving on to produce wonderful football with Milan. Again, this was a short spell; he was fired after just seven games in charge. And, following a portentous one-year intermission during which Zeman made Messina Serie B’s highest scoring team, he returned to Foggia. Indeed, the paralysing fear of job loss never seems to have affected Zeman’s actions, something perhaps best evidenced by a clash between his Foggia and Fabio Capello’s Milan on 24 May 1992. 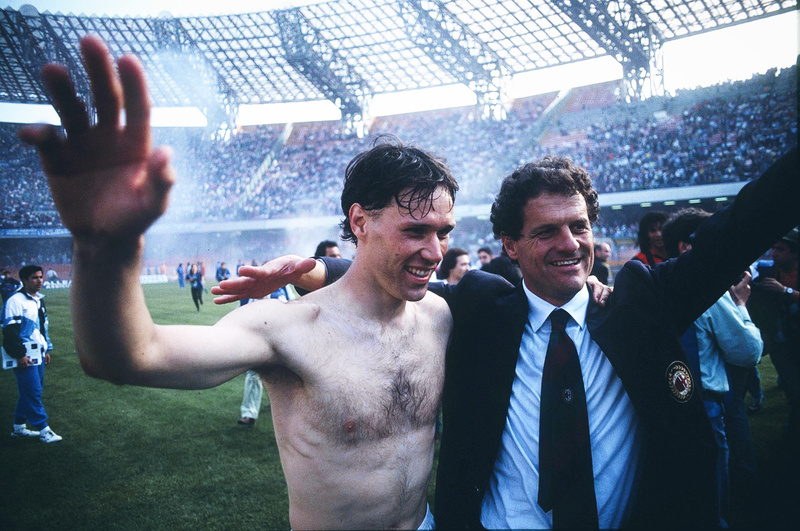 It was the last day of the 1991/92 season and Milan had already been crowned champions of Italy. Furthermore, over the course of 33 fixtures they had remained unbeaten. Zeman’s Foggia, meanwhile, had survived their first season back in Serie A following their promotion the year before, an achievement that had been built on offensive foundations. With a fluid 4-3-3 system of attack-minded full-backs, forward-surging central midfielders and a front three made up not of two wide men and a centre-forward, but a strike trio that all tended to operate centrally, they had top-scored comfortably in the 1990/91 Serie B campaign, hitting 67 goals, 14 more than second-highest scorers Udinese. Attack remained the core principle for Foggia in Italy’s top tier, right up to the final whistle of the final game, when competitive football ended and pre-season began. The consequences of this open manifestation of Zeman’s idealism were often beautiful, but also occasionally brutal. There has historically been a general unspoken agreement in calcio, that severe beatings should be restricted. Once the victory is secured and there is no need to inflict further damage on the opponent, it is best for all parties for the game to effectively come to an end. The defeated team will save face, while the victors store up some good karma that, down the line, might just come back to them in a good way. This rule did not apply on 24 May 1992 at the Stadio Pino Zaccheria. For 45 minutes that day, Zeman’s Foggia more than competed with Capello’s iconic Milan side. Going into the half-time break, they led 2-1 courtesy of goals from the languid Giuseppe Signori and the lithe Francesco Baiano, two crucial components in Zeman’s attacking arsenal. Milan’s unbeaten run looked set to come to an end; they had been on the receiving end of some lustrous passing moves and had not been in control of their opponents in a strange turning of the tables. The second 45 minutes, however, were a catastrophe. Zeman’s side crumbled as Milan forcibly upped the ante, scoring seven goals to win 8-2. In Foggia. Ruud Gullit, Marco van Basten, Marco Simone and Diego Fuser got themselves on the scoresheet in what was, by the standards of most, an embarrassing result. But the capitulation only served to highlight the sheer purity of Zeman’s ideology, the untouchability of his desire to entertain. His side had lost heavily, but not once had they compromised their ideals. That season, Foggia finished ninth in Serie A. Only Milan scored more goals than their 58, but only bottom-of-the-table Ascoli conceded more than their 58. And, over the course of the next two seasons, Zeman’s men further established themselves as one of the most exciting teams in the country while remaining in Serie A. Their play verged eternally between the hedonistic and the masochistic, the result nothing more than a fleeting relevance in Zemanlandia’s daring crusade. “There are many coaches today who only manage, without trying to improve their players; it is the players who make the coach. Then there are a few coaches who shape players. I feel like one of these few.” Zemanlandia would not have been possible without young players. Its protagonist had begun his coaching career delivering youngsters from prospect to first team at Palermo. And in Foggia, just as in Licata, the exuberance of youth was integral to the formation of a team welded to his preferences. With his composed touchline persona, chain-smoking and disregard for the practice of winning at all costs, Zeman acquired an aura of cool, an Eastern European hippy-in-a-sharp-suit vibe amid the fervent, at times destructive, rationalism of the Italian game. But in reality, he was essentially a top-down orchestrator, if not a dictator, who imposed his philosophy upon the impressionable. The intense pressing and high defensive line he sought required an inherent indefatigability, a willingness and ability to run and move constantly. It also required a goalkeeper comfortable in coming off his line to sweep up any loose balls, thwart opposition attackers and build possession. Up front, there was a need for fluency, collective understanding and connection. This required a relentless drilling, session after session of one move, repetition to the point of perfection. 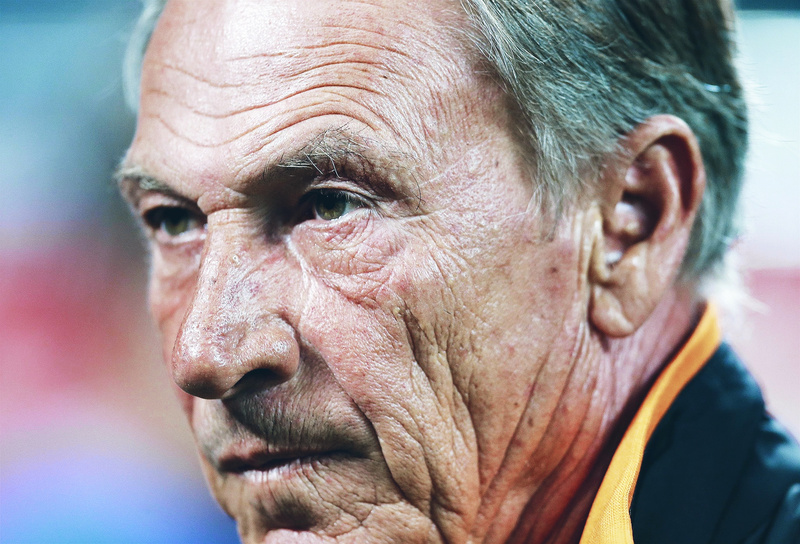 Zeman was a hard taskmaster, asking everything of his players to adhere to his system. The harsh nature of his training methods drew questions. His answer? “No one has ever died because of them.” Thus, his youngsters were tested, but in return they gained an acute tactical awareness and technical mastery that served them well as a team and, in many cases, on an individual level as their careers progressed. “Zeman cannot succeed if there is not a ‘microclimate’ around him,” Giuseppe Sansonna, director of the documentary film Zemanlandia (2009) once argued. “The players have to follow him, put themselves at his beck and call: tactically and psychologically. This is the reason why Zeman works better with youngsters than with well-known players.” And this had a lot to do with Foggia’s success in the early 1990s. At the age of 20, Francesco Mancini was promoted to first choice goalkeeper upon Zeman’s return to the club in 1989. He would, over time, grow comfortable with the specific demands of his role within a unique system, where he was called upon to be permanently alert and confident in possession, proactive rather than reactive. In front of Mancini, Pasquale Padalino became a regular fixture in the centre of defence as a 19-year-old. And, upon Foggia’s promotion to Serie A, he was joined by Salvatore Matrecano, a 21-year-old who had spent the previous season in Serie C2 with Campanian outfit Turris. 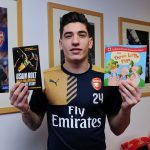 Meanwhile, the attacking trident was made up of two 23-year-olds born within a week of each other in Signori and Baiano, and Roberto Rambaudi, who had joined the club at the same age in ’89. All of these players were crucial to Foggia’s survival, and all would go on to forge top-level careers elsewhere. Mancini ended up with Napoli, Matrecano with Parma, Padalino and Baiano with Fiorentina. Rambaudi and Signori would move to Lazio. Each of the latter four would play for Italy. Providing more than the mere energy and fitness of youth, these players came to embody Zemanlandia because of their absorption of the style. They accepted Zeman’s vision and, over years of training and playing together, implemented it, becoming one of the great cult teams in the history of calcio. Nesta benefitted immensely from Zeman’s presence at such a formative stage of his career. 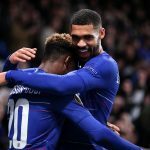 His refined technique and ball-playing capabilities would not go unrecognised by the Czech coach, who threw the youngster in at the deep end without hesitation. By 19, Nesta was a regular in Lazio’s starting line-up. “Every youngster should hope to be coached by Zeman,” Nesta said upon his retirement. And those words were echoed, more or less, by Francesco Totti. Zeman controversially left Lazio for loathed rivals Roma in 1997, where he struck up an important relationship with the attacker. Totti had been a frequent starter for three seasons by the time he came under Zeman’s influence, but had yet to hit double figures. 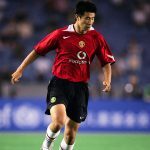 He scored 14 goals in 1997/98, 16 in 1998/99, and took both the number 10 shirt and the club captaincy in the process. “Zeman is a coach and person who made a very significant contribution to my professional and personal growth,” Totti remarked in 2013. Zeman’s dogged idealism ensured that he transcended results. 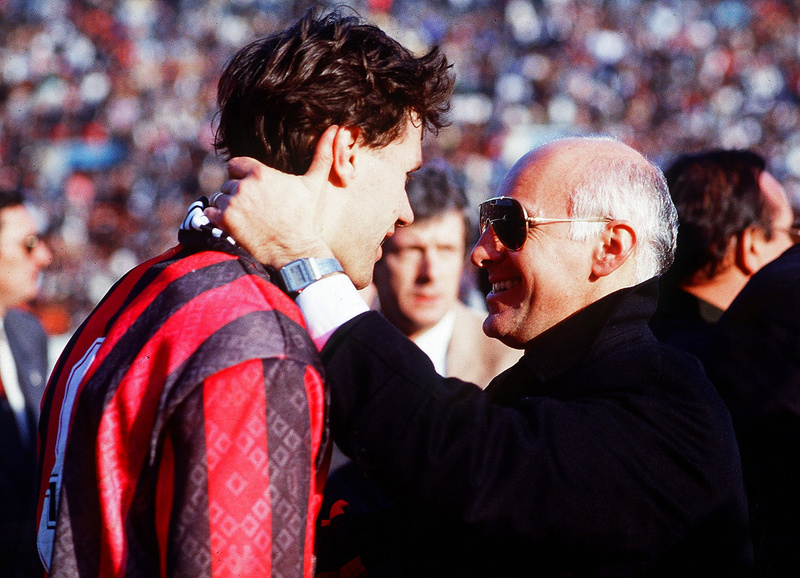 To this day, his highest honour as a coach remains the Serie B success with Foggia in 1990/91, something he went on to replicate with Pescara over two decades later. His time with both Rome clubs was as close as he got to achieving success in Serie A, but ultimately the scudetto would prove elusive. In his maiden campaign with Lazio, the Biancocelesti scored an average of over two goals per game. With the speed and directness of Rambaudi, the guile and cunning of Signori and the penalty box cognisance of Pierluigi Casiraghi, they were an awesome attacking force within the 4-3-3 system that, along with the flood of forward runs, attractive combinations and zonal defence, came to signify Zemanlandia. When they won, they won big. There were 5-1 hammerings of Napoli and Padova, a 7-1 thrashing of Zeman’s old club Foggia, and an 8-2 humiliation of poor Fiorentina. Reigning champions Milan left the Stadio Olimpico mentally bruised by a 4-0 loss, Juventus were defeated 3-0 in Turin, and Inter were soundly dismissed at home and away by an aggregate score of 6-1. Second place was Lazio’s reward in 1995, before third and fourth-placed finishes in ‘96 and ’97 respectively. Then Zeman moved on to Roma, where he took a club that finished 12th the year prior to his arrival to fourth and sixth in his two terms in charge. All of this was done without sacrificing the ideals with which he had started his coaching journey – he remained committed to youth and determined to exhilarate. Zeman’s search for something greater continued off the pitch, too. While at Roma in 1998, dismayed by football as spectacle’s subordination to football as commerce, he raged against the establishment, imploring calcio to “get out of the pharmacy” in an interview with L’Espresso magazine. His comments, implicating the exceptional Juventus side of that era as part of a wider doping issue within Italian football, led to a long and difficult trial that resulted in Bianconeri club doctor Riccardo Agricola being handed 22-month suspended sentence in November 2004, a decision that was upheld in 2007 following an appeal. The question of whether his accusations were founded on exact truths or exact falsehoods or something in between is something for another article; what matters here is that, once again, Zeman opted against the pragmatic course of action, which would have been to ignore his feelings in favour of a more strategic policy of silence. Later he would speak of the price paid for his words: “The system said ‘we won’t take you’, and my career took a different direction. I could have coached Milan, Inter or Real Madrid.” Instead, he went to Turkey and Fenerbahce before returning to Italy to coach a succession of smaller clubs. But paying the price is something Zeman has always done. Since his days with Foggia, when Zemanlandia burst into Italy’s footballing consciousness, he has ignored the very concept of hierarchy. Rather, he pursued an idea, a vision of football that he felt was correct and that most appreciated. And, through 8-2 beatings, the evasion of silverware, the constant reassertion of football’s authoritative pragmatism, he never once altered his course. He never once joined in the race to the bottom. Italian singer and Roma fan Antonello Venditti released a song dedicated to Zeman, titled La Coscienza di Zeman, in 1999. The song closes, aptly, with the repetition of the same line: “Perche non cambi mai.” Because you never change.